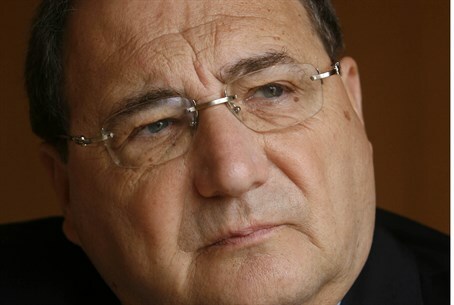 ADL Director Abe Foxman tells IDF Radio White House called him directly. Analyst: Jewish groups "courting disaster." Abraham Foxman, who heads the US-based Anti-Defamation League, told IDF Radio Monday morning that elements in the White House asked the ADL and other Jewish groups to help it in the campaign to get congressional approval for a military strike on Syria. "In the same way that Secretary Kerry and senior Obama Administration officials asked for our help in advancing the peace process, so they asked for support about a strike on Syria – by means of a phone call and direct requests," Foxman said. "Congressmen have been calling our people in the last few days and we have told them what our position is. In the course of Rosh Hashanna, and as Yom Kippur approaches, too, rabbis in several synagogues will urge the congregation to put pressure on members of Congress." “Congress should act swiftly to add its voice to hold President Bashar al-Assad accountable for the wanton slaughter of his own citizens,” said Foxman and Curtiss-Lusher, ADL National Chair. The American Israel Public Affairs Committee (AIPAC) has also been enlisted to rally support for Obama's plan to strike Syria. “The civilized world cannot tolerate the use of these barbaric weapons, particularly against an innocent civilian population including hundreds of children,” said AIPAC. The willingness of Jewish groups to assist Obama in this matter has come under fire from some Jewish leaders. Attorney Mark Langfan, Chairman of Americans for a Safe Israel, wrote in an Arutz Sheva op-ed that "AIPAC is courting disaster in actively lobbying for the Congressional resolution for a US Syria attack." "If, G-d-forbid, US body-bags come back from Obama's misadventure, the Jews of America should expect virulent anti-Semitism as a direct result of the ill-advised lobbying," he explained. "American Jews got wrongly accused of pushing America into the Iraqi war, despite the fact that the then-Prime Minister Ariel Sharon openly warned Bush against it. AIPAC has positioned Jews as the scapegoat once more."